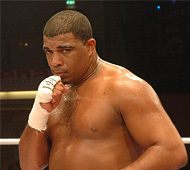 Cuban heavy Odlanier Solis, 19-1, will return to Germany and defend the IBF I/C title against Yakup Saglam, 29-2 (26), July 27 in Cuxhaven writes boxen-heute.de. Solis needs to be more active, says promoter Ahmet Oener, and I want him to fight three or four times this year and get back in the world title picture. Saglam can punch but is far from Solis’ class as a boxer and acknowledges that but says he will give his all. Turkish welter Selcuk Aydin might be featured on the bill that is televised by EuroSport.